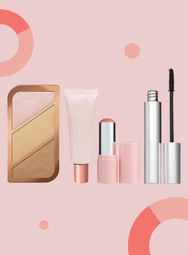 Get 5x the points* when you buy any participating Benefit Cosmetics Cheekleaders Palettes or Hoola Bronzer. *Point multiplier applies only to the regular 15 points per dollar for eligible in-store spending. Product availability may vary by store. We reserve the right to limit quantities. We are not obligated to award points based on errors or misprints. Points issued on the net pre-tax purchase total of eligible products after redemptions and discounts. Cannot be combined with any other PC Optimum points promotions or offers or points earning rates based on payment method. Offer valid until April 19, 2019. Get 15,000 bonus points* when you buy any participating Biotherm Life Plankton Elixir or Elixir set. *Product availability may vary by store. We reserve the right to limit quantities. We are not obligated to award points based on errors or misprints. Points apply to items sold as individual units, and are not awarded per unit when the unit is part of a case pack or variety pack. No cash value. Offer valid until April 19, 2019. 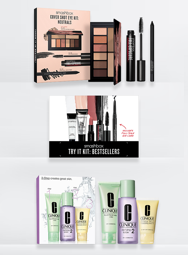 Get 5,000 bonus points* when you spend $50 or more (before taxes) on participating Clinique Lip or Cheek products. *Spend $50 or more on Clinique Lip or Cheek products before taxes and after redemptions and all coupons and discounts are deducted in a single transaction to earn the points indicated. Product availability may vary by store. We are not obligated to award points based on errors or misprints. No cash value. Offer valid until April 19, 2019. Get 10,000 bonus points* when you spend $100 or more (before taxes) on participating Elizabeth Arden Prevage® Skin Care. *Spend $100 or more on Elizabeth Arden Prevage® Skin Care before taxes and after redemptions and all coupons and discounts are deducted in a single transaction to earn the points indicated. Product availability may vary by store. We are not obligated to award points based on errors or misprints. No cash value. Offer valid until April 19, 2019. Get 10,000 bonus points* when you spend $100 or more (before taxes) on participating Estée Lauder products. 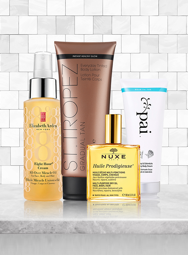 *Spend $100 or more on Estée Lauder products before taxes and after redemptions and all coupons and discounts are deducted in a single transaction to earn the points indicated. Product availability may vary by store. We are not obligated to award points based on errors or misprints. No cash value. Offer valid until April 19, 2019. Get 10,000 bonus points* when you spend $75 or more (before taxes) on participating Lise Watier products. 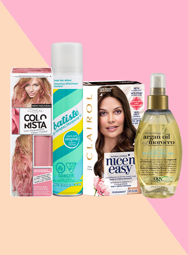 *Spend $75 or more on Lise Watier products before taxes and after redemptions and all coupons and discounts are deducted in a single transaction to earn the points indicated. Product availability may vary by store. We are not obligated to award points based on errors or misprints. No cash value. Offer valid until April 19, 2019. Get 10x the points* when you buy any participating Stila Beauty Boss Lip Gloss, Lingerie Soufflé Skin Perfecting Colour or Luxe Eye Shadow Palette. Get 5,000 bonus points* when you spend $50 or more (before taxes) on participating GLAMGLOW products. *Spend $50 or more on GLAMGLOW products before taxes and after redemptions and all coupons and discounts are deducted in a single transaction to earn the points indicated. Product availability may vary by store. We are not obligated to award points based on errors or misprints. No cash value. Offer valid until April 19, 2019. Get 5,000 bonus points* when you spend $50 or more (before taxes) on participating Smashbox Face Primers. *Spend $50 or more on Smashbox Face Primers before taxes and after redemptions and all coupons and discounts are deducted in a single transaction to earn the points indicated. Product availability may vary by store. We are not obligated to award points based on errors or misprints. No cash value. Offer valid until April 19, 2019. Get 10,000 bonus points* when you spend $100 or more (before taxes) on participating Michael Kors Wonderlust 100mL or 50mL fragrance. 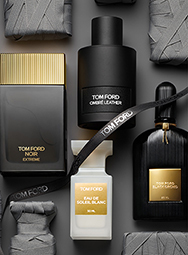 *Spend $100 or more on Michael Kors Wonderlust 100mL or 50mL fragrance before taxes and after redemptions and all coupons and discounts are deducted in a single transaction to earn the points indicated. Product availability may vary by store. We are not obligated to award points based on errors or misprints. No cash value. Offer valid until April 19, 2019. 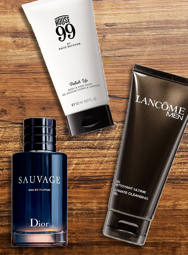 Get 25,000 bonus points* when you spend $150 or more (before taxes) on any participating Lancôme Skin Care products. 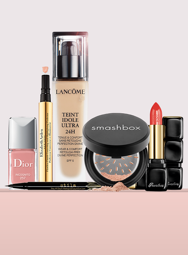 *Spend $150 or more on Lancôme Skin Care products before taxes and after redemptions and all coupons and discounts are deducted in a single transaction to earn the points indicated. Product availability may vary by store. We are not obligated to award points based on errors or misprints. No cash value. Offer valid until April 19, 2019. 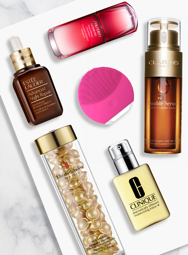 Get 12,000 bonus points* when you buy any participating Clarins Extra-Firming Skin Care product. Get 7,500 bonus points* when you spend $50 or more (before taxes) on any participating Urban Decay products. *Spend $50 or more on Urban Decay products before taxes and after redemptions and all coupons and discounts are deducted in a single transaction to earn the points indicated. Product availability may vary by store. We are not obligated to award points based on errors or misprints. No cash value. Offer valid until April 19, 2019. Get 10x the points* when you buy any participating Shiseido suncare products. 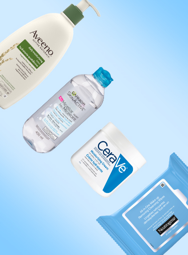 Get 8,000 bonus points* when you buy any two (2) participating La Roche-Posay Toleriane products. *Product availability may vary by store. All products must be purchased within the same transaction. We reserve the right to limit quantities. We are not obligated to award points based on errors or misprints. Points apply to items sold as individual units, and are not awarded per unit when the unit is part of a case pack or variety pack. No cash value. Offer valid until April 19, 2019. 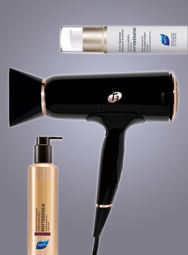 Get 2,000 bonus points* when you buy any two (2) participating No7 products. 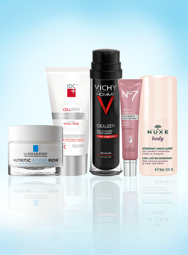 Get 10,000 bonus points* when you buy any two (2) participating Vichy products. Get 10x the points* when you buy any participating Dr.Roebuck's Bondi Hydrating Mist or No Worries Hydrating Face Moisturizer. Get 1,500 bonus points* when you buy any participating Annabelle Mascara or Perfect Glow. Get 3,000 bonus points* when you buy any two (2) participating Marcelle Mascara or Velvety Blush. 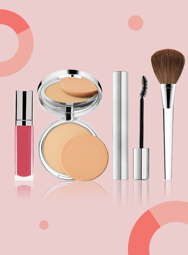 Get 10x the points* when you buy any participating Physicians Formula® Butter Bronzer or Mineral Glow Pearls Powder. Get 5,000 bonus points* when you buy any two (2) participating Revlon Kiss Cushion Lip Tint, Insta-Blush or Photoready Palette. Get 5,000 bonus points* when you buy any two (2) participating CND Vinylux™ Nail products. 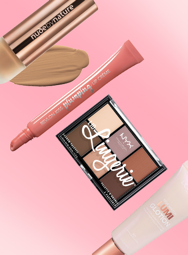 Get 3,000 bonus points* when you buy any two (2) participating NYX Professional Makeup Glitter Goals Lipstick or Foil Play Eye Shadow Palette. Get 1,000 bonus points* when you buy any two (2) participating L'Oréal Paris True Match® Lumi Glotion. Get 1,000 bonus points* when you buy any two (2) participating Maybelline New York Snapscara, Master Chrome, or Superstay Matte Ink. 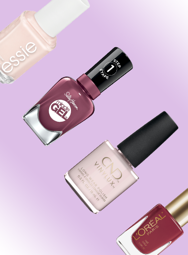 Get 1,500 bonus points* when you buy any two (2) participating Essie nail polishes.